With a week in London, I could easily have spent at least half of that exploring and eating at the Harrod's food hall. But there was Soho, Notting Hill, Borough Markets and so much more to see. 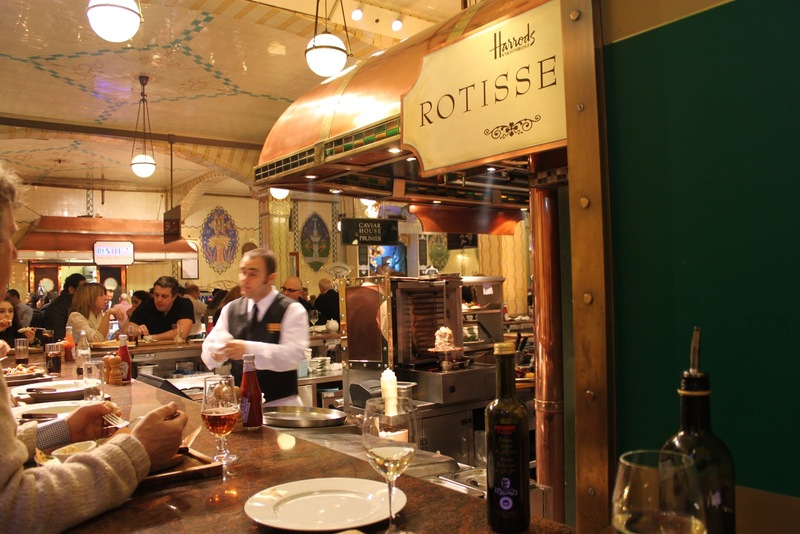 Here's a few of my highlights from the Harrods experience! 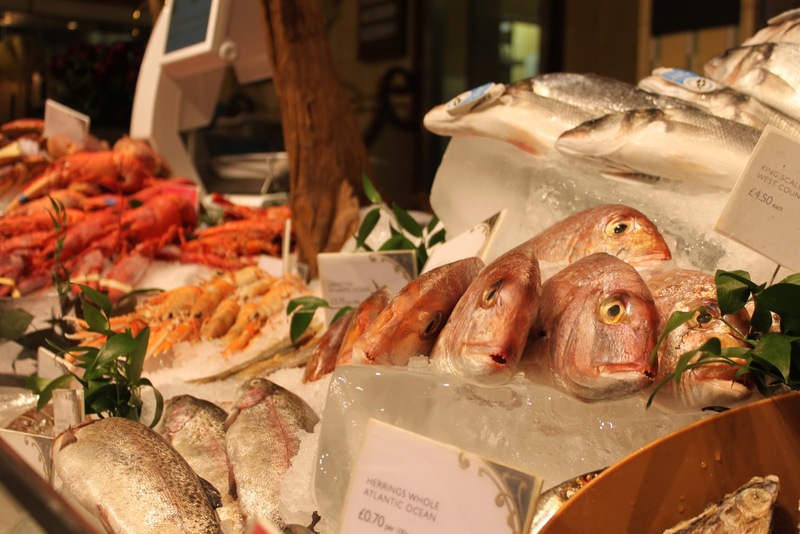 As a fish-lover, I couldn't keep myself from ogling the huge and glisteningly fresh range of fresh fish and crustaceans. Plump scallops still with their brilliant orange roe (as they only should be - why do Americans remove that tasty morsel? ), whole fish from the brilliant chilling waters surrounding the UK and some of the most varied prawns, crayfish and lobster I have ever seen. 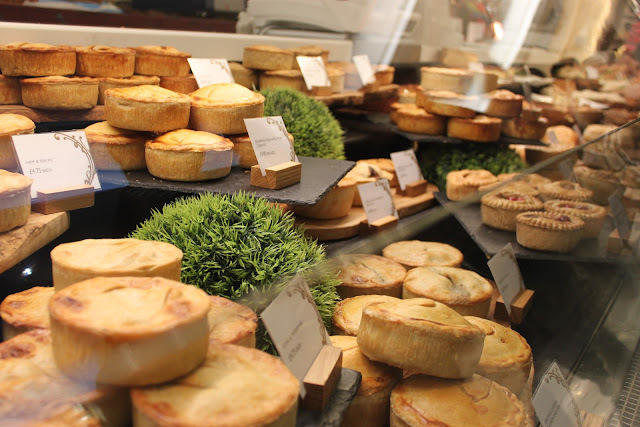 Of course one must not leave London without savoring at least one of the gourmet pies, of which Harrods excels. Steak and Kidney, Lamb, Fish, Pork and all manner of accessory flavors and, of course, the classic Cornish Pastie full of succulient veggies! London is one of the world's greatest melting pots for international cuisines, and Japanese is not often first to mind. Indian, yes, and Harrods had every Naan and curry you could live for a month on, French, Italian, Middle Eastern, Polish, Scandinavian etc. 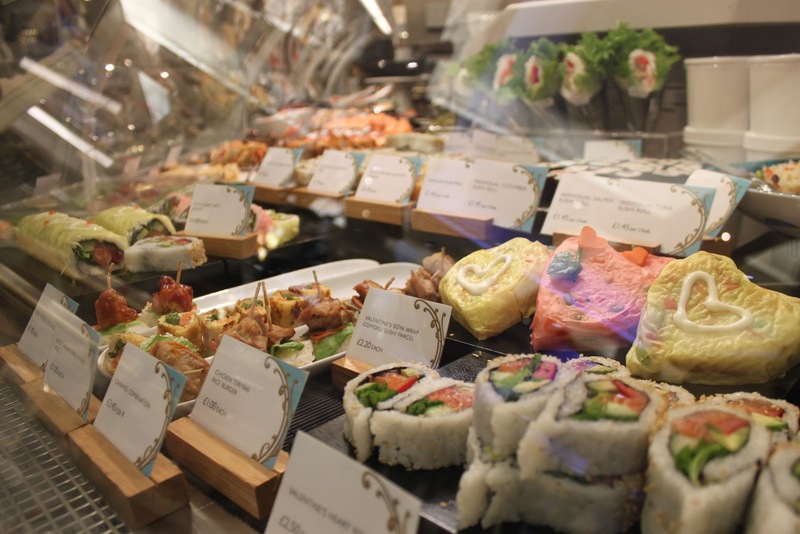 But when Harrods does Sushi, boy, do they do it! I won't even begin to take photos of all the chocolate bars consuming one entire hall of Harrods, name brand from Britain, Italian, Belguim, French..... 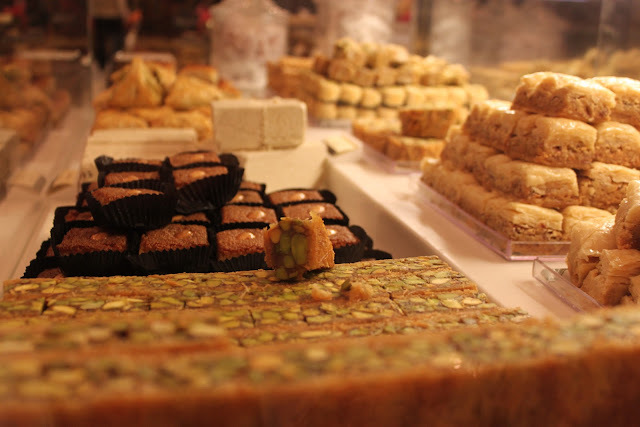 But just in the next hall, around the corner from the freshest range of roast nuts, you'll find this enticing range of Middle Eastern pastries to buy singly or in a nice box to gift someone back home! Hmmm, say no more. 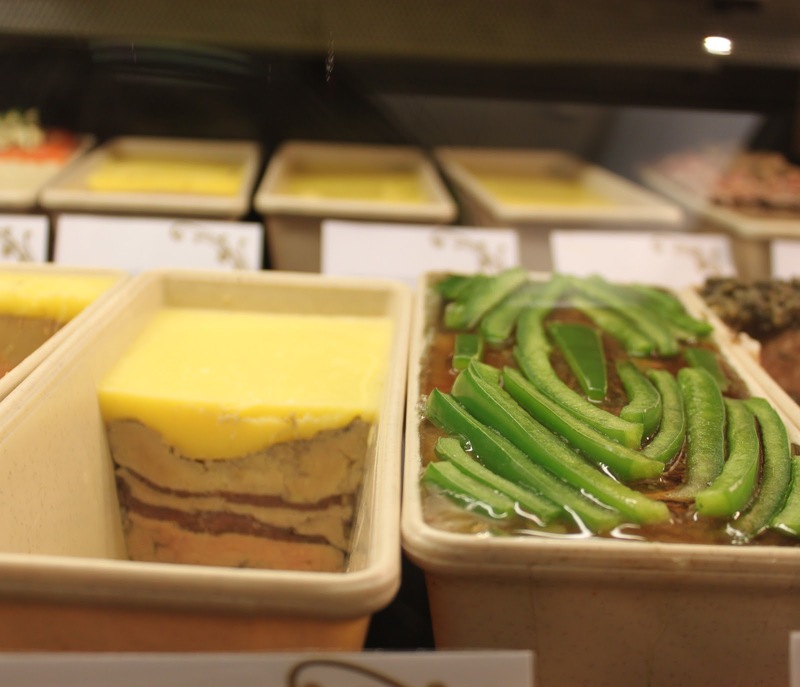 Slice of Terrine anyone?? So when you've exhausted yourself browsing, where to sit and enjoy a wine, beer and bite to eat. 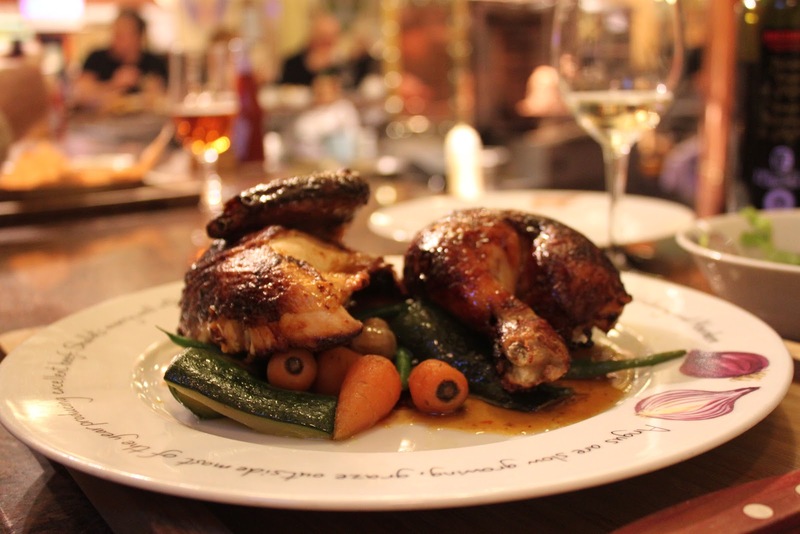 Sashimi bar, Oyster Bar, Caviar and Samon Bar, Bentley's for Seafood, Carvery, or our choice on one day, the Rotisserie, the following picture says it all! And somewhere to lay your head at night? My pick is a charming boutique hotel, The Beaufort, nested in a quiet residential street just block from the hustle and bustle - warm and friendly, delightfully appointed, and with complimentary champagne, wine, cocktails, and high tea!